Dunston Business Village has been successful in securing funding from the Growing Places Scheme. 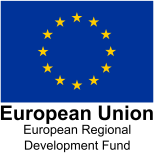 The Growing Places Fund is operated by the Stoke and Staffordshire Local Enterprise Partnership. Without this funding we would not have been able to meet the continued high demand for our office space. With companied moving here from all over the country, we continue to be a key resource for the Staffordshire economy.